By Loss Wax Process-High Chrome Cast Iron. Shot Blasting, Amorphous Phosphating, CED Coating, MOS2 Coating, WS2 Coating, Zn Passivation. Innovation is the USP of SAP Parts. Moreover it is our core value and we intend to proactively employ innovative thinking culture in all our operations. Max 10 M/s Surface Speed. 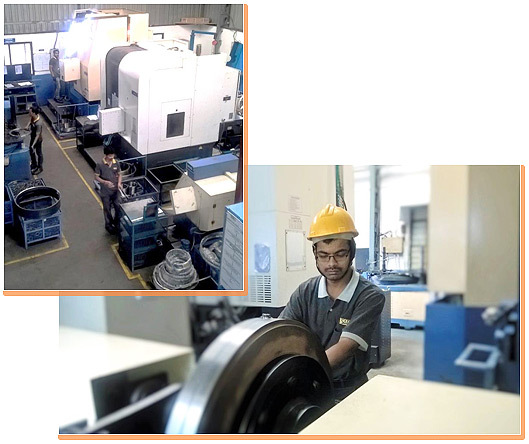 At SAP Parts, we continuously effort to pioneer developments that create competitive advantage with our parts. Our innovation plan and actions are in close collaboration with our suppliers, customers and human resources in order to meet the variable needs of customers, from time to time. Model for Contact Surface Wear Life Prediction. 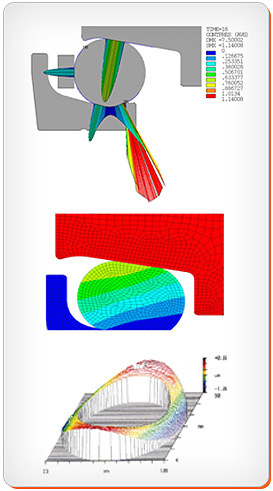 Elastomeric Variable Load Stress Relaxation Modeling. Innovative Surface Treatments for Demanding Applications. Functional Conformance of Metallurgical Properties of Ni-Hard Cast Alloys & Sealing Surface Asperities in Abrasive Environment.